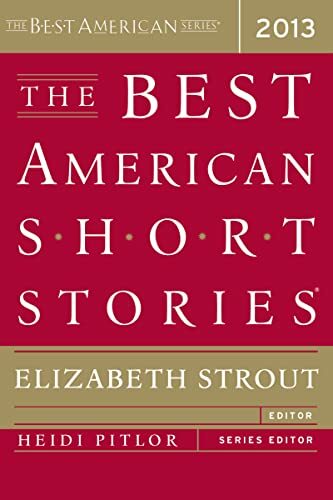 Presents twenty of the best works of short fiction of the past year from a variety of acclaimed sources. Since these "BASS" anthologies have a different guest editor each year, it's inevitable that, for any given reader, some years will be better than others. And I'm afraid the 2013 edition was distinctly an "off" year for me. Last year I enjoyed almost every story in the book; this year I found most of them to be a failure in one sense or another. "Miss Lora" by Junot Diaz is a story that I'd read before and didn't much like. I found its stylistic gimmickry pretentious and annoying: Diaz frequently switches to Spanish for words, phrases, and sentences, uses a second person narrative, and doesn't put quotation marks around dialog. But I read the story again, and this time I loved it. In a quietly minimalist way it brings its title character and her relationship with the protagonist to vivid life, making for a moving story. Personally I think it would have worked better without the stylistic gimmicks, but it's good in spite of them. "Encounters With Unexpected Animals" by Brett Anthony Johnston has a nice title, but goes downhill from there, focussing on a 17-year-old girl who talks and acts like no 17-year-old ever has in the history of the human race. "Magic Man" by Sheila Kohler creates its only interest or tension by putting a young girl at peril from a child molester. This works, as far as building tension. Catching fish by dynamiting a pond also works, but few would make the mistake of calling it art. "The Chair" by David Means is a sort of stream-of-consciousness ramble about being a stay at home dad. Stream-of-consciousness stories inevitably run the risk of feeling like a stream of pointless blather, and to my eye this story runs aground on that risk. Lorrie Moore's "Referential" is the brilliant, diamond-like highlight of the book. Its scant few pages are so full of life and pain and honesty that it will (or ought to) leave you stunned and exhausted. Moore has a new collection coming out soon, and I for one, Can. Not. Wait. "Train" is typical of Alice Munro's work: It's neatly crafted, but bloodlessly dry and lifeless, with lifeless characters drifting lifelessly through their lifeless lives. At one point the narrative rhetorically asks about two characters, "What was the matter with them? Were they falling in love?" Not frigging likely, I answered back. Not in an Alice Munro story. "Philanthropy" by Suzanne Rivecca is a story to be admired, if not "enjoyed." It goes somewhat over the top in the relentlessness of its squaller and misery (the kitty-cancer was almost laughably gratuitous), but there's more going on here than squalor and misery for their own sake. ... Which is something I wouldn't say about George Saunders' "The Semplica-Girl Diaries". This story appeared in his best-selling collection Tenth of December, and is typical Saunders fare; I suppose some will find it darkly humorous, but personally I find little humor in inventing absurdly contrived situations for the sole purpose of inflicting pain on drab and stupid characters. "The World to Come" by Jim Shepard contains about three pages worth of a sweet and tender love story. Unfortunately that story is buried in 29 pages of interminably tedious pseudo-diary writing about life on a nineteenth-century New England farm. I've read and enjoyed many of Shepard's stories in the past, but I found this one painfully boring. Joan Wickersham's "The Tunnel, or The News From Spain" provides a welcome uptick near the end of the book. A portrait of a woman's relationship with her disabled and sickly mother may sound both dreary and trite, but this story is neither. It's full of life and wit and intelligence, and was a pleasure to read. It goes the way that most anthologies go: some extraordinary stories and some dull ones. However, even the dull ones are written very well, and honestly there are far more extraordinary ones than dull ones in this anthology. The Provincials: Not the best, but a very amusing story. Bravery: Very well-written, but I didn't actually LIKE it. Malaria: I love this story. So interesting. Miss Lora: I don't really like Junot Diaz stories because they always trigger my PTSD episodes and in general make me feel very uncomfortable. However, that doesn't mean they're not good stories. Horned Men: This is just freaky. Didn't really like it. The Third Dumpster: An interesting story with some interesting parts, but as a whole just rather dull. Encounters with Unexpected Animals: Also interesting, but not my favorite. Magic Men: More PTSD. But what do expect from contemporary literature? Even so, I loved this story because of how well written it is. Genuinely scary. The Chair: A weird, forgettable little story. A Voice In The Night: Not especially memorable or powerful, but it's still very cool and written in an interesting way. Referential: I LOVE this story. But what do you expect from Lorrie Moore? Train: I LOVE this story too, though for completely different reasons. It's just so... COOL. Chapter Two: Not a huge fan of this story. I just wasn't interested in any of the characters or their lives. Nemecia: This is a strange story, and I didn't like it because I didn't like Nemecia. At all. Despite this, it's still a very interesting story and I don't regret reading it. Philanthropy: A very cool story. An honest story, which I appreciated. The Semplica-Girl Diaries: LOVE THIS STORY. The World to Come: Dull. Unspeakably so. The Wilderness: Beautiful. Simple, elegant, relevant. The Tunnel, or The News from Spain: This story completely drew me in from start to finish. It's just so interesting and painful and sad.